Electromechanical electricity meters in the U.S. was gradually shutdown in the wake of the successful introduction of solid-state electronic meters. This transition was the most significant change in metering technology in over a hundred years. Although it has been four years since the last electromechanical meters rolled off assembly lines, solid-state meters are still new from the utility perspective, and the industry is still becoming accustomed to their capabilities and limitations. 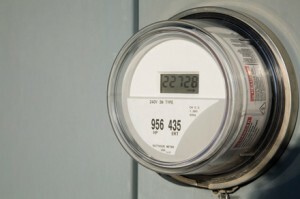 Solid-state meters have no moving parts and are more straightforward to manufacture. This makes it easier for new companies to get involved in meter manufacturing, potentially increasing choice in the marketplace and enhancing innovation. Solid-state meters have a shorter expected field service life than their electromechanical forebears due, in part, to the changing landscape of functional needs but also to the natural limitations of electronic devices.